The network is formed of a unique blend of companies serving healthcare products, from the very early steps of product conceptualization and initiation, moving through marketing and communication strategies, all the way till complete product commercialization and management. We are here with our full global partner and experience. You have the full power experienced commercial specialists. Are you looking to move beyond the traditional one-way communication with your audience? We provide you with a full-range of digital services to open dialogue. We are the partner for you. Our 25-year experience and access to real on-ground knowledge are in your hands. 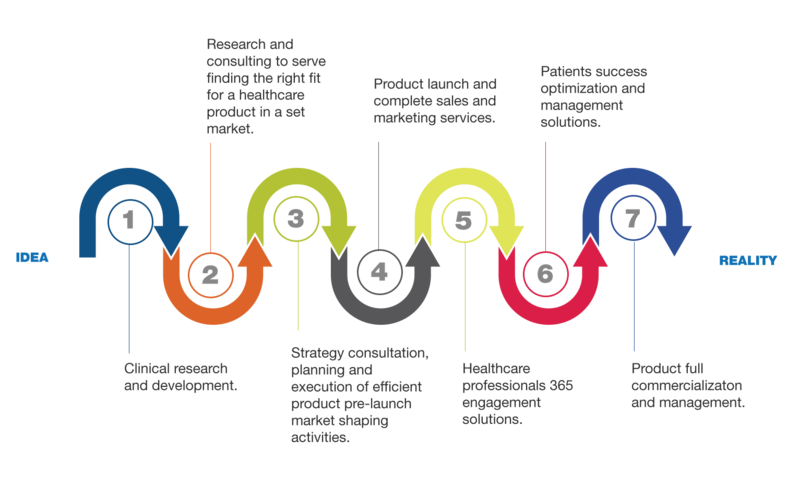 designed specifically to meet your needs at any stage of the product development: from idea to reality.